It is only the middle of winter, but we are already talking about how soon we will paint (write) the Easter eggs, called писанка (pisanka). 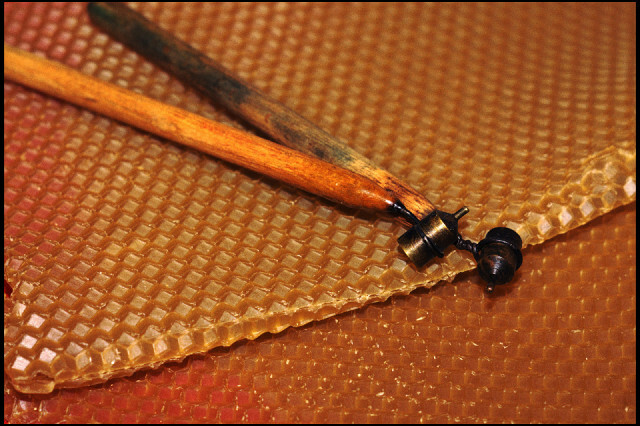 Look, everything you need is here, in the photo — beeswax and a pen-like tool called писачок (pisacok). This tool consists of copper wax-container with small pipe spout and wooden handle. Oh yeah, dyes are still needed; however, each region has favourite colours and ornaments.